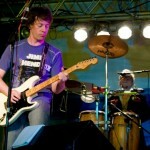 Professional music activity as a guitarist. Author of guitar parts in the «City», «New Century», «Good night», «Black Obelisk», «Never Trust the Hippies» bands and Garik Sukachyov & «The Untouchables». One of the most called-for Russian sessional musicians. Professional music activity as a bass-guitarist. Author of bass parts in the following bands: “Floud” (rock-n-roll), “Ker Paravell” (pop), “Relaxive” (punk-rock), “Taro” (alternative, hard-core), “Arkhaim” (heavy metal), “Snow Queen” (sympho-rock), “Diva” (pop). 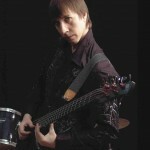 Performer of the bass-guitar parts in the staging of “Jesus Christ Superstar” rock-opera by Andrew Lloyd Webber and of “The Master’s Manuscript” musical-miracle play by Andrew Pronin. Professional music activity in bands: “X-band” (punk-rock, alternative), “Voda” (pop-rock), “Ivan Kazan Bakh” (funk, indie). Author of all drum parts. 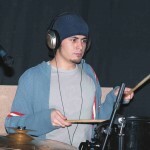 Favourite drums are “DW”, cymbals – “Zildjian”, beaters – “Promark”.